This is absolutely gorgeous! Ethereal, like fairy dust! 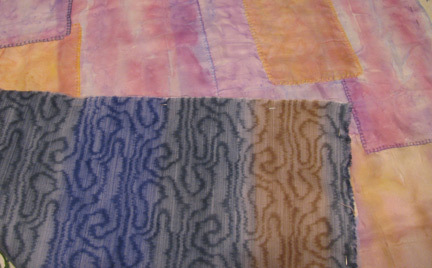 Silk is sooooo addictive! Such a delicate, peaceful piece!! Just lovely! 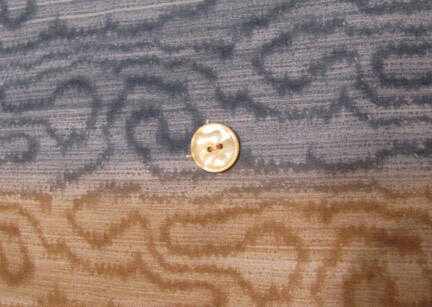 Idea of the button is also quite clever!! I've seen it done by several people, Robbie, but I think the first one I learned it from was Nancy Eha. Thanks so much for sharing this. Your work is beautiful. 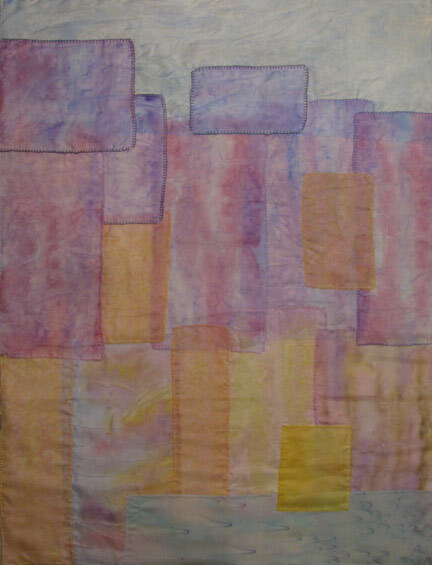 I had been wondering if it was possible to use handpainted silks in a quilt and stumbled upon your postings. 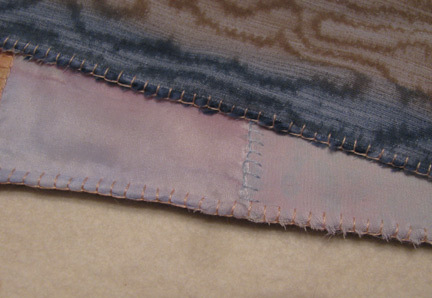 Did you finish the edges of the silk pieces in any way before arranging them ? Thank you, Ann! I don't finish the edges at all. 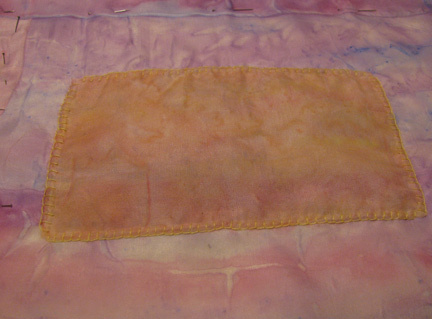 There is a certain amount of unraveling that occurs, and you have to handle them gently, but the paint (I don't use dyes) helps to hold them together a little bit. 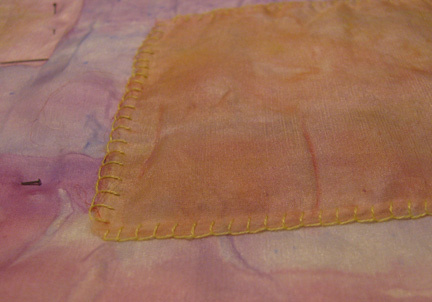 I just stitch around the outer edges with a single strand of floss, very very carefully!